Cardiff City has told a fans' meeting ex-owner Sam Hammam would be welcome to a life presidency at the club. The news was confirmed as the club outlined its plans to repay money owed to Hammam's company, Langston. Options include £8m, payable within 30 days; £10m with £3m payable now and the rest at the end of the season, or £13m with £8m this year and an additional £5m if Cardiff are promoted. Mr Hammam owned the club until a takeover led by Peter Ridsdale in 2006. News of the deal offers was revealed to a group of fans that met with club officials on Wednesday. The group are among some supporters who say they have requested refunds or will not be renewing season tickets in protest at a change of the club's colours from blue to red . The meeting discussed, among other matters, debts owed to Sam Hammam's company Langston. Fan Bed Dudley, who writes the My Only Cardiff blog, said feelings were strong about Hammam. He said: "Based on the people I've spoken to, my friends, and people on the website's message board, they would be totally against him coming back. He added: "From what I have heard, it would be as unpopular as the shirt colour change." City's Malaysian investors Tan Sri Vincent Tan and Dato Chan Tien Ghee, known as TG, have pledged to invest up to £100m in the club, but will change the team's shirts to red, with a new dragon crest, as the colour red is regarded as lucky in parts of Asia. After the meeting, Cardiff City chief executive Alan Whiteley said the club was now waiting to hear from Mr Hammam's representatives, adding that if the presidency role "seals the deal" it was worth doing. 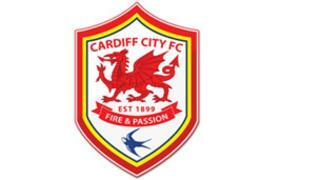 Cardiff City football club: Should fans see red over shirts?